After underperforming hugely at Euro 2016, Harry Kane was under pressure to deliver as England captain at World Cup 2018 and so far he is doing just that. The Tottenham hitman’s style is such that he can be anonymous for much of the game but devastating when opportunities are presented to him. 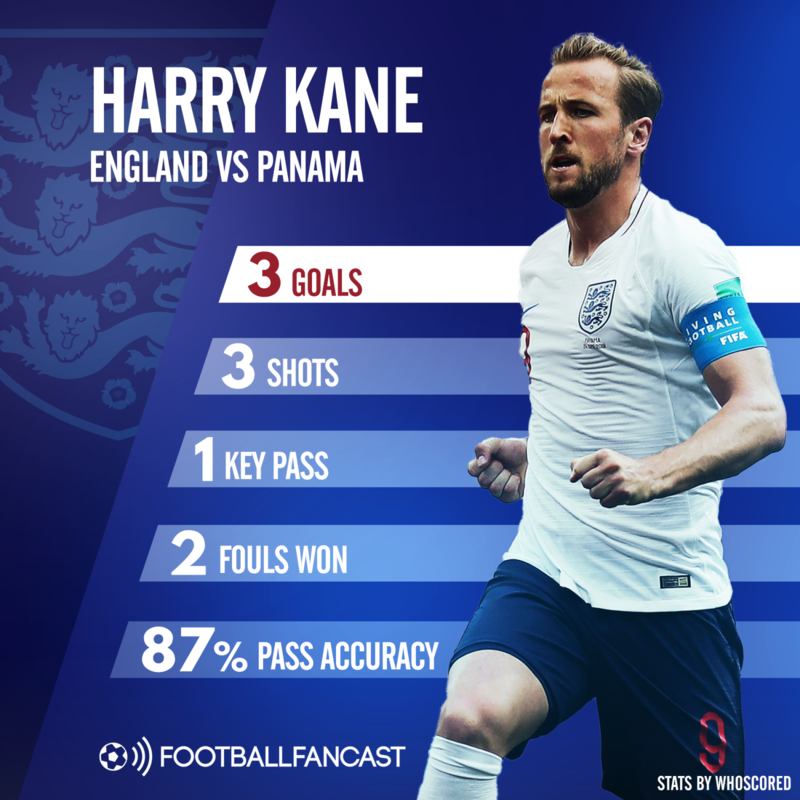 In a World Cup, that could prove to be deadly and he already leads the way in the race for the Golden Boot with five goals to his name so far after yet another clinical display as England thrashed Panama 6-1 on Sunday. The Three Lions played better in their opening match against Tunisia but the ruthlessness that was missing then was present in abundance here as Gareth Southgate’s men scored with practically every attack. Kane epitomised that with his hat-trick, netting two emphatic penalties before diverting Ruben Loftus-Cheek’s shot into the net, yet again getting the very most in terms of return out of a game when he was not heavily involved in open play. Southgate will be elated to have a man on such hot form in his ranks as he guides his side into the knockout stages; Kane is making England a side every other nation must be wary of as the tournament wears on.